If you think that Clash of Clans dead, then you got it all wrong. Supercell’s freemium mobile strategy video game is nowhere near from being shelved. Since its release, it became one of the biggest titles in the gaming community, and it continues to do so even today. Sure, you might have read online about “CoC is dying.” But as far as any evidence suggesting its demise is concerned, there is nothing. First, let’s talk about your definition of “dead.” Does it refer to Clash of Clans has a steady decline of players? If so, then you are wrong. Millions of players across the world are still addicted to it. Does the term “dead” refer to the game being boring? You are absolutely wrong. In fact, the studio has battled this by adding new types of troops. They also included balancing the meta and adding quality-of-life improvements. You can see all this in each update or patch the developers released in the past few months or so. Clash of Clans has the title for the longest running time among all games mobile and otherwise. It is six years old now and yet it still has a continuing fan base. Hundreds of clan wars happen on a regular basis, let alone the thousands of troops that players train each day. 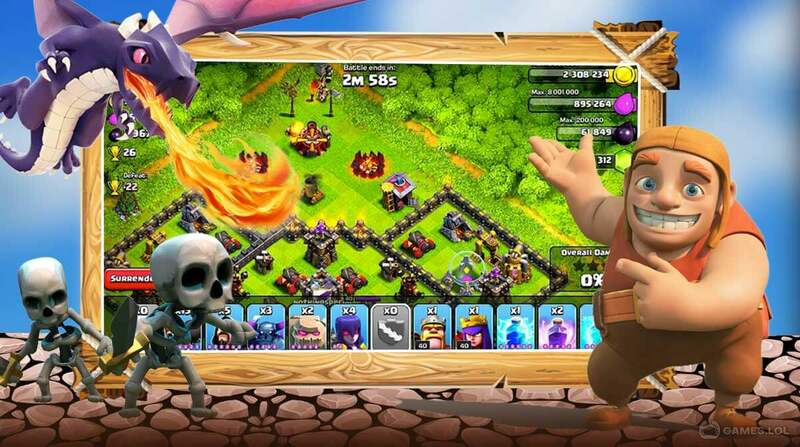 The thing about Clash of Clans is that it is designed to accommodate both old and new players. Supercell continually builds the game in a way that it does not bore the old players. At the same, it also entices the new ones. At the end of the day, it all boils down on you. It is a simple rule (not only applicable to Clash of Clans). If you still enjoy it and you find interesting new stuff each time you log, then the game is definitely not dead – at least for you.